Softly-spoken Pirias is busy. He is preparing several items to take to a market and still needs to prepare for a workshop he will be hosting in a city that is hundreds of miles away from his hometown of Abaetetuba, in the state of Pará, extreme north of Brazil. Still, the artisan, real name José Plácido da Silva, finds a bit of time to chat to us. 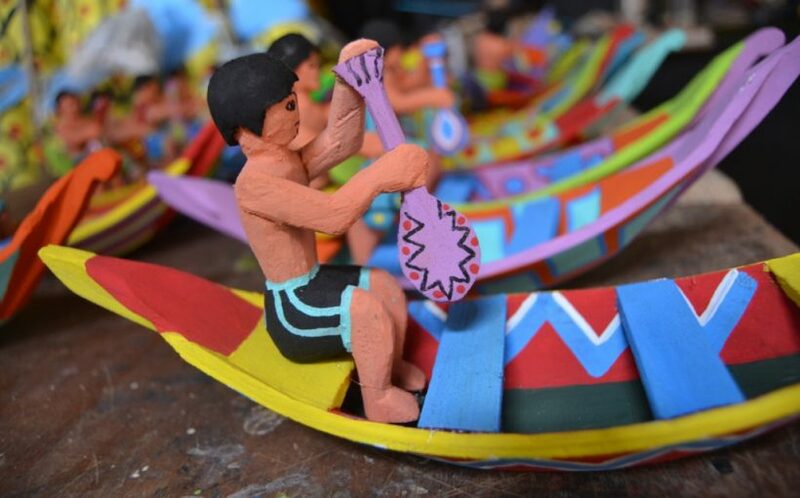 Abaetetuba is the home of toys made out of the pulp of miriti, a palm native to the north of the country and Pirias is the most recognized representative of this kind of craft in the whole of Brazil. The toy maker credits his fame and recent success – which includes a host of exhibitions and workshops across Brazil, as well as being picked as one of the few artisans to represent his state in the shops set up by the government during the World Cup – mainly to the fact he put a great deal of effort into his profession throughout his life. 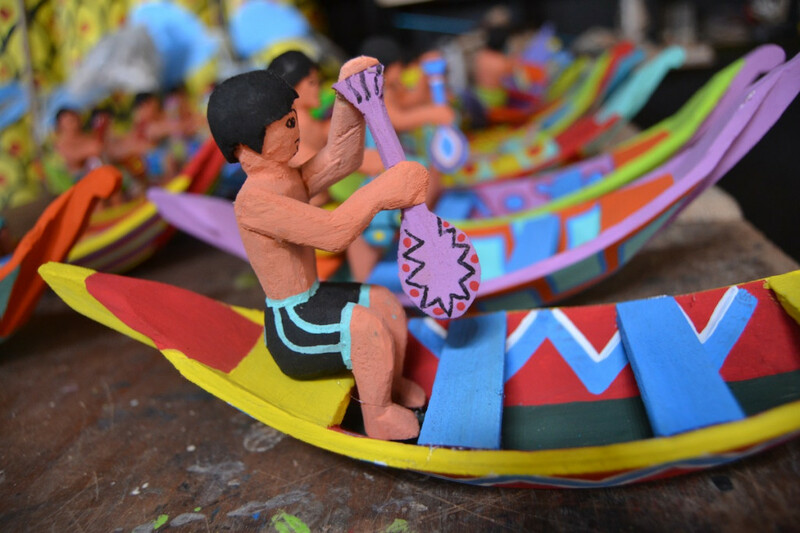 “I never wanted to do anything in life other than art,” says the Pará-based artisan, who first started dabbling at sculpture at the tender age of seven and learned by watching his godfather, also an artisan, work on the miriti toys. “No one would really sit down with you and teach you how to do it, you just learned by looking and making things yourself,” recalls the 44 year old artisan. Seeing craft as a business also helps, though Pirias tells us that he was not always as business-focused as today. The artisan, as many of his peers in the town, used to make toys exclusively for the occasion of the Círio de Nazaré, the state’s biggest religious celebration and for the rest of the year, Pirias would sell his work mostly to local markets. 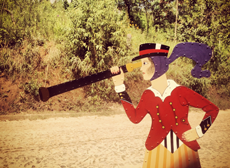 After studying business and getting the support of the Brazilian Entrepreneurship Service Sebrae, the sculptor began to see and present his work differently. Since the early noughties, Pirias has concentrated on improving his technique and taking part in exhibitions and workshops in Brazil and overseas. “As well as getting training, I realized that I would only be able to live out of manual work if I did something different. So I focus on exhibitions and a limited production, while many still struggle to produce lots of items that they only sell locally,” the artisan says. “But I think that working collectively is very important, so I created a small group of local like-minded artisans and we are now working together, each doing what they know best – I, for example am focused on sculpture,” he explains, adding that sculpting in the miriti wood is more difficult than normal wood given that the material is so fragile. With the support of Sebrae, Pirias has now created a brand for his group and is working on further professionalizing his production and get the art from Abaetetuba more recognized in Brazil and abroad – and also help fellow artisans see their craft more as a business. “We won’t change mentalities overnight, but I hope that as we achieve more, we will be able to get more people along,” he concludes.